It’s looking like Law Enforcement is alive and well – business is picking up. I am seeing an increase in women clients – keep coming ladies! I passed my second try at Phase 2, and I know it was your coaching that made the difference. I walked in my first time over a year ago with confidence that my prior job experience was more than enough and failed. I walked in this time, humble but ready to share more of myself and be genuine, and as you already knew, that made all the difference. I gave them as much as I could in my first question to include my five points in case I didn’t have an opportunity later; as it turns out that was a very good move. I definitely had to morph almost all my answers. Only one question did I have to pull a story that I had not previously prepared. Last Thursday I received notice of passing phase 2. I have to say that I followed everything we talked about in the sessions. I kept it simple with the factors. The day of the interview, I went in feeling very comfortable. The panel was friendly and that really helped. Absolutely everything we covered that I was expecting. I was able to answer all questions without any problems. I was talking the whole time and they were writing at the same time so that was good. At the end I had to your morphing technique a couple of times. The interview finished and I walked out feeling great. Two of the guys that were came out of the interview and weren’t feeling the same. I thank you for your service. It really made the difference in my performance. I wanted to thank you so much for your help in preparing for the phase 2 examination- your coaching made me feel prepared for the examination and I really believe it is one of the reasons I passed! Thanks so much! Just wanted to follow up with you. I found out last night (exactly a week after my interview) that I passed! Honestly I was a bit unsure of myself after I left (I was the first one done – it only took 37 minutes). Honestly that interview was one of the most challenging things I have ever done and I don’t think I would have passed without your help. I was prepared for the questions and only had to skip one to come back to it at the end. The agents had their heads down writing most of the time – as soon as they stopped and looked up at me I just picked another Factor from the list to bring into the story and they got right back to taking notes. Thank you so much for helping me! One thing – With the way they broke down the questions the agents said I should keep stories to 4 to 5 minutes. I think mine (2-3 min) were done a bit too quickly. The interviewers were so professional and nice that I was put to ease pretty quick. I had a story for every question but one ! And weirdly enough I kept forgetting the question ! I would hear the question, determine the competency, tell my story that spoke to that competency, and them scramble to tie it back to the original question! So I felt like a complete mess but it must have gone better than I felt, I am so thrilled, thank you for your help! So I got my results back from my phase 2 testing and…..I passed! I just wanted to thank you for all your help. I can honestly say that the interview would be next to impossible to pass without proper preparation. I did get a lot of reactions from them, laughs, smiles etc so I feel like I came across really genuine which may have compensated for my forgetting to tell them about my personal life. “Show don’t tell” was also something I believe really helped me, I actually caught one of them staring at me a few times very interested in what I was saying, when she realized she wasn’t writing she very quickly switched back to being head down haha. I will keep passing your info along to others I come in contact with that are attempting to get FED LAW jobs. Thank you again! I passed phase 2. WOOT WOOT!! And honestly, it’s all because of you. My biggest challenge was to relax, just like you predicted. BUT, I was able to take some deep breathes and remember that the agents are just regular people and it was up to me to prove myself. I answered every question without hesitation and did not pass on any questions. Why – because I was able to instantly figure out the value they were seeking and had a story ready. I did use your morphing technique on quite a few questions and because of your coaching, it was smooth and instant. I had a “runners high” post interview because I knew I gave it my all. I can’t thank you enough for your guidance throughout this process. It was a life lesson that will help me in the future. In my humble opinion, I think you have the right to charge more. I would pay double for what you did for me. I will keep you posted on my final outcome. Next step, background and then lie detector. If all goes well, Quantico! YIPEE!! Thanks again for everything. For future applicant’s my advice would be to really focus on team/group experiences in all aspects of their life. Congratulations, you achieved a passing score on the Special Agent Selection Process (SASP) Phase II. Under the current SASP, your scores will never expire. You have clearly differentiated yourself, and the FBI encourages your continued participation in the recruiting process. I just got the email today. It’s been exactly two weeks. I can’t thank you enough for your training. Holy cow were you right about how useful morphing would be, and also having two stories per factor. But MORE importantly – at least with MY interview – the 5 points about myself and “Why you want to be an agent” training was extremely valuable. Having those two things (slightly) memorized gave me a lot o confidence. I also took your advice about BEING MYSELF. Two of the agents smiled during some of my stories, and one even chuckled. I got stuck on 1-2 questions, but I morphed the heck out of my stories. Those stories weren’t exactly perfect but they were good enough. It was not a perfect interview – i did get nervous and I did get stuck for a few seconds here and there – but I would urge everyone sitting for this interview to just show confidence…even if they have to FAKE IT. Your advice to just give them a story when I get stuck could be more true. Just GIVE A STORY. Thank you again. Definitely worth the investment. Hands down.
! I want to thank you for your guidance, encouragement, and “tough love” on my writing samples and verbal practice sessions. I am so excited for this next chapter of my professional life. This is massively delayed but I wanted to let you know I got the offer and have been at Quantico for the last few weeks. There were some delays (as expected), but I made it. I couldn’t have gotten this far without your help too so thank you again! Invitation to Follow me on Twitter! Click here to follow me on Twitter – all about FBI and Federal Agencies. The evaluators will be taking notes during the interview to assist them in documenting the results. Do not let this distract you. 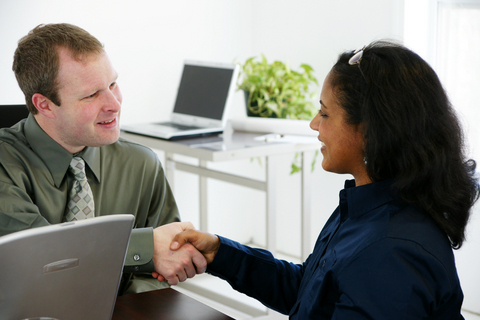 Provide detailed information when answering the interview questions. Do not be modest in your responses. To provide the best examples of your skills and abilities, draw from all of your life’s experiences (not just the most recent ones). Remember that the interview panel knows no information about you beyond your name. Keep your answers concise and specific—answers that are too lengthy will detract from your ability to complete the interview within the required timeframe. Do not make assumptions about what the evaluators are seeking. The interview instructions are straightforward. There are no “trick” questions. Study your resume and be able to speak about how your experiences match with the Special Agent Core Competencies. The best piece of advice you gave me for our work together was to be myself for the interview. “These people need to know they can be in a car with you for 8 hours,” was your exact quote. In my eyes an interview will never go perfect so I went in with a nothing to lose attitude since at the end of the day I still had a job. Being a likable person during the interview makes the interviewer work extra hard for you because they can see you as their partner. They might take the extra minute to think about how they can check a box off for you to succeed instead of just overlooking that you might have missed a topic. Making people smile and laugh always goes a long ways. I brought myself to the interview, with confidence, and held a conversation with my work partners is all.